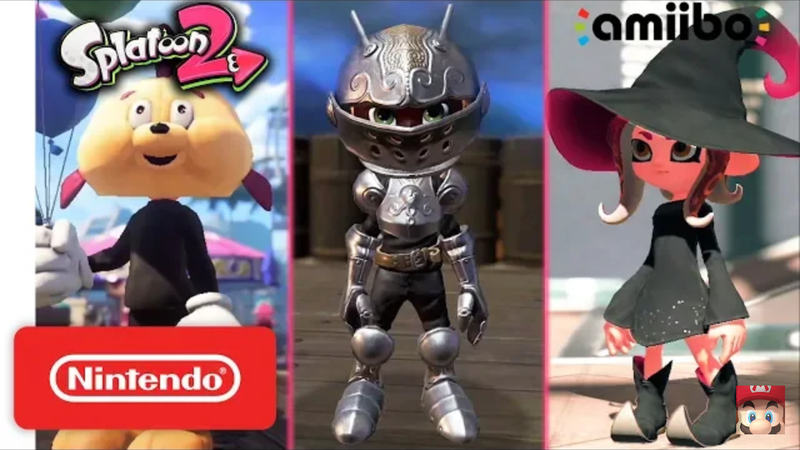 Nintendo have released a video showcasing the new gear that inkling and Octolings will be able to unlock Splatoon 2 using the new Octoling amiibo. The Octoling amiibo will be available from November 9th in Europe and Japan and December 7th for North America. The Octoling girl amiibo unlocks the Enchanted gear (Witch’s outfit). The inkling boy unlocks the Steel gear (Knight outfit). The Octoling octopus unlocks the Fresh Fish gear. (Balloons not included).